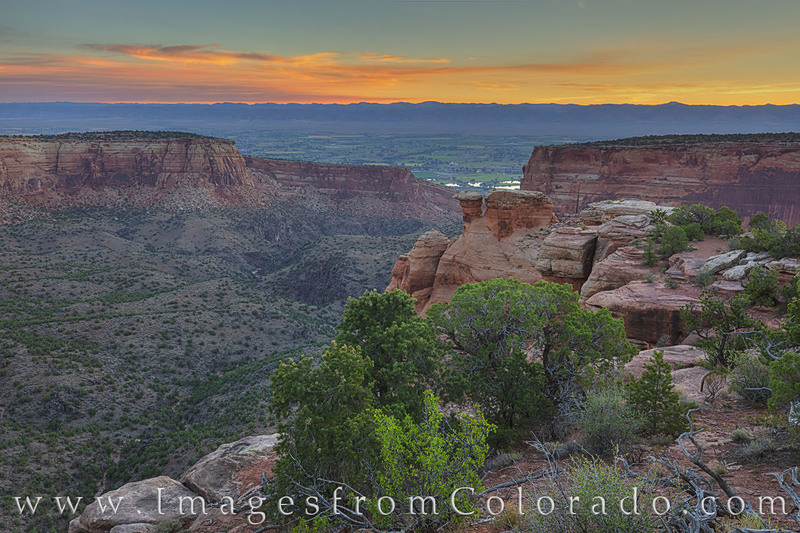 The depth and colors of Monument Canyon, one of the beautiful canyons of Colorado National Monunent, is seen here at sunrise on a cool summer morning. At 6,000 feet in elevation, temperatures in the early hours are cool and the minutes before the sun’s first light can change the clouds and sky into lovely shades of blue and orange. This national park is just west of Grand Junction, Colorado, and a very short drive from Fruita, though it is often overlooked by travelers heading east and west on I-70.